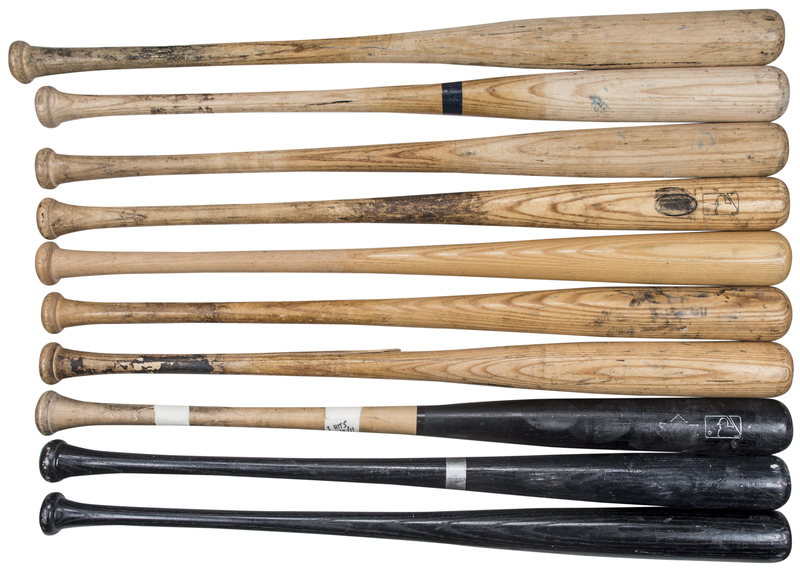 Offered here is a collection of 10 New York Mets game used bats from various eras. The first bat is an un-cracked Rawlings Adirondack Big stick bat used by Rick Reed. 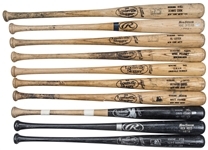 The second bat is an un-cracked Louisville Slugger M110 bat used by Al Leiter. Third is an un-cracked Rawlings Big Stick bat used by Mike DiFelice. A Steiner Sports hologram is affixed to this bat. Fourth is a Louisville Slugger R161 model bat used by Dennis Cook. This bat is un-cracked. 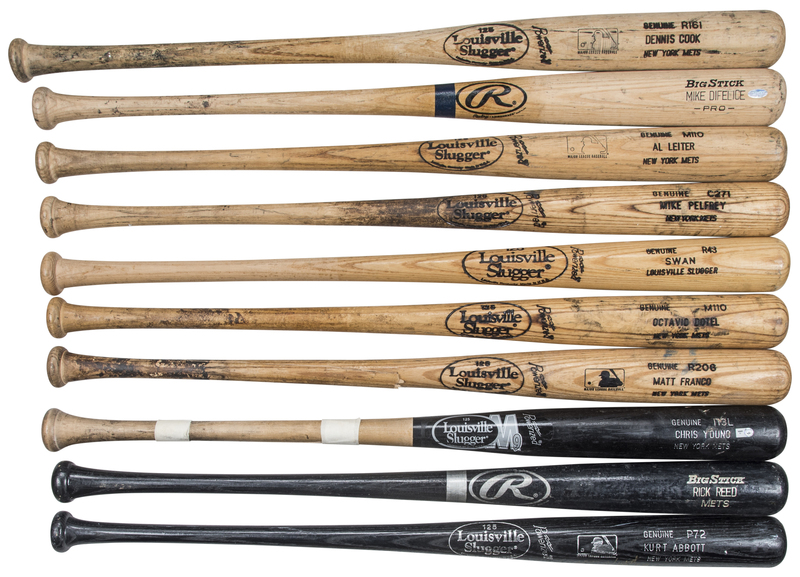 Fifth is a cracked Louisville Slugger 113L model bat used by Chris Young on April 5th, 2011 against the Phillies. Young went 3-3 with an RBI in this game. This bat comes with a MLB Authenticated hologram (FJ 343433). 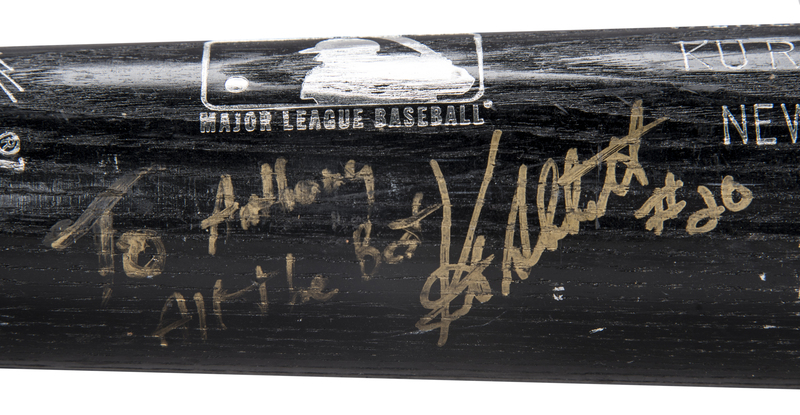 The next bat is an un-cracked Louisville Slugger P72 model bat used and signed in gold marker by Kurt Abbott. Abbott inscribed “To Anthony All the Best”. 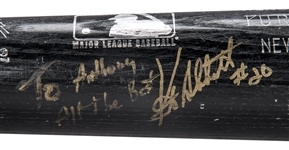 This bat comes with a COA from Beckett Authentication Services (F63904). Next is a Louisville Slugger R43 model bat used by Craig Swan. This bat is un-cracked. Next is an un-cracked Louisville Slugger M110 bat used by Octavio Dotel. The penultimate bat is a cracked Louisville Slugger R206 bat used by Matt Franco. 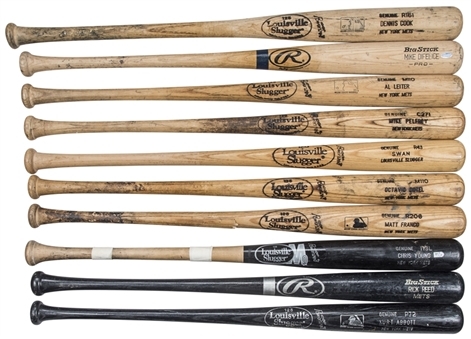 The final bat in this lot is a cracked Louisville Slugger C271 model bat used by Mike Pelfrey. These baseball bats have been pre-certified by PSA/DNA.